A magical cruise under the starry skies of Paris. On Bastille Day, enjoy Paris and its fireworks on board DON JUAN II, a charming yacht that expertly exudes the French lifestyle. A sophisticated interior, an upper deck, a peaceful, intimate atmosphere where you can enjoy an unforgettable experience. Alcohol abuse is dangerous for the health, consume in moderation. 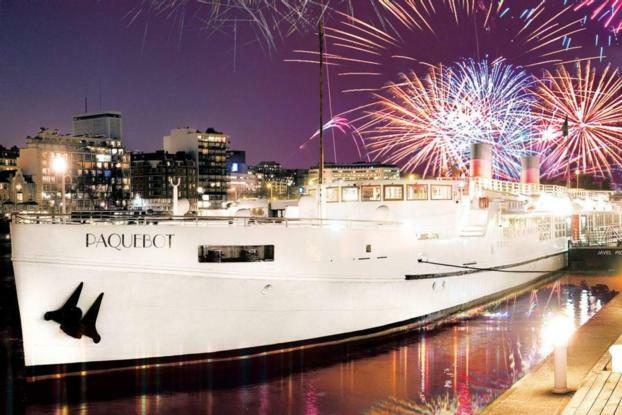 This 700m² boat, built in a transatlantic spirit, complete with a triple upper deck and chimneys, welcomes you aboard for an unforgettable evening!